Turnaround Time: Ships within 1-2 weeks. This oversized calendar desk pad is the perfect gift for that person who already has everything but could still use a splash of cute on their desk! Stay motivated and inspired with this beautiful calendar pad. This desk pad has 13 pages and measures 17x11". 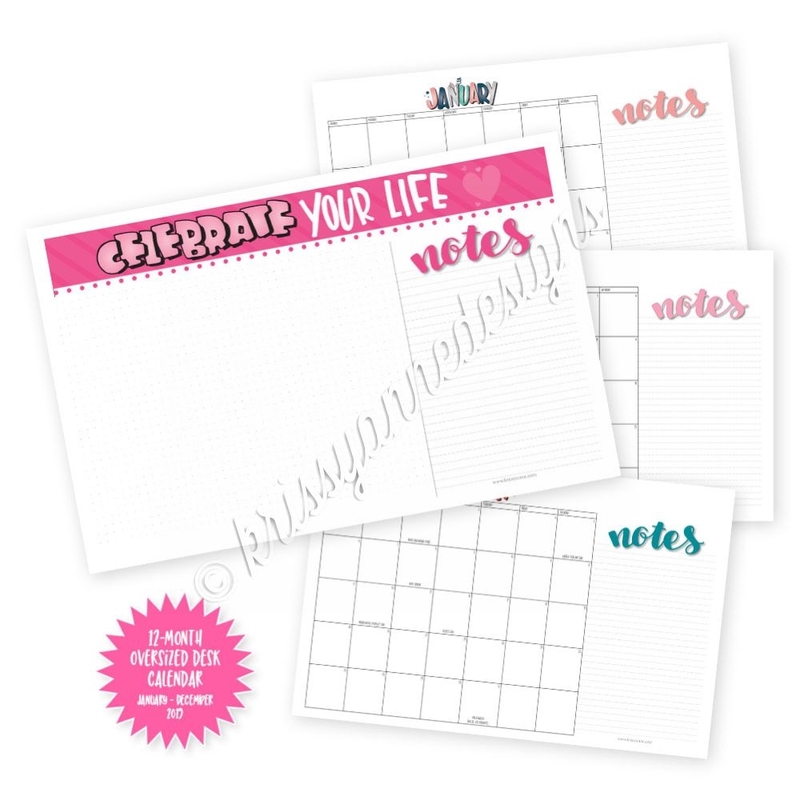 The first page of the desk pad features a large space for notes and each additional page is a monthly page that coordinates beautifully with our 2019 Celebrations Collection. Colors may vary from monitor to monitor. This desk pad features hand-lettered artwork drawn exclusively for Krissyanne Designs by Cindy Guentert-Baldo that has been digitally colorized, altered and curated by Krissyanne Designs.